You probably know what an IP address is and how to find it (yep, just type “what is my IP address” in Google and you’ll see a series of digits). But what about MAC address (or Wi-Fi address)? How to find it on a Macbook Pro? What is MAC address (vs. IP address)? Okay, there are enough resources on the Internet defining the two terms and exploring their difference. I found this article most useful and to the point. Just a note – don’t get confused by the term “MAC” (short for Media Access Control). It actually has nothing to do with Apple’s Mac computers. Every network device has a unique MAC address, including a Windows PC. When do you need to know your MAC address? There are a number of situations you may have to know your MAC address. For example, you want to get authorized to access certain servers in your company or organization. For me, the motivation was different. The other day the Internet on my apartment was super slow, I suspected somebody was stealing my network and draining the limited brand-width. So I went to the router and followed my Internet provider’s instructions to look up devices connected to my line. I did see several devices connected to my Internet router. But surprisingly, it didn’t show me the names of each device. Instead, all I saw was a series of digits and characters — which later I figured out are the MAC (Wi-Fi) addresses. But which one represented my MacBook Pro? I was confused. 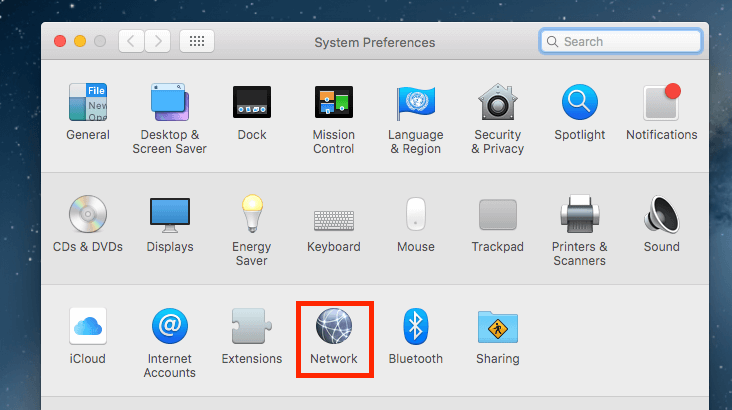 Step 2: On System Preferences pane, click Network. Step 3: now check the Wi-Fi tab on the left panel. And then click the “Advanced” button. Step 4: in the new window, go to the Wi-Fi tab, find this line “Wi-Fi Address” at the bottom. Here we go, the series of character is your MAC Address (aka, Wi-Fi Address).